Reinventing Interactive and Direct Marketing focuses on how to benefit from a fundamental truth about marketing in the digital era. Interactive Marketing is direct. Direct Marketing is interactive. What has been seen mistakenly as separate disciplines actually are one and the same. 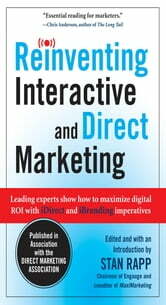 Every marketer now is an interactive direct marketer. 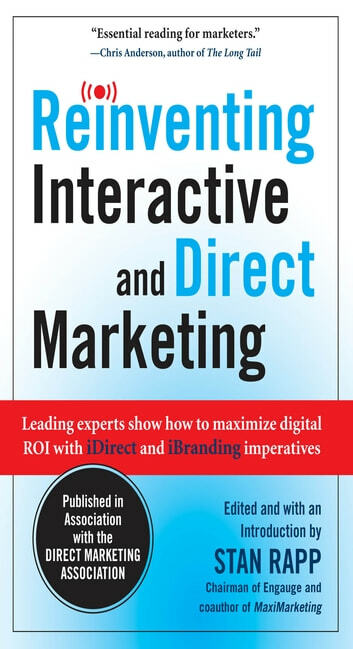 To help you profit from this new reality, Stan Rapp introduces a new paradigm—iDirect— the 21st-century growth engine at the intersection of digital technologies and direct marketing practices. The gap between what you once took for granted and the iDirect Marketing future is so vast that a team of thought leaders is needed to deal with it. No one person has all the answers.